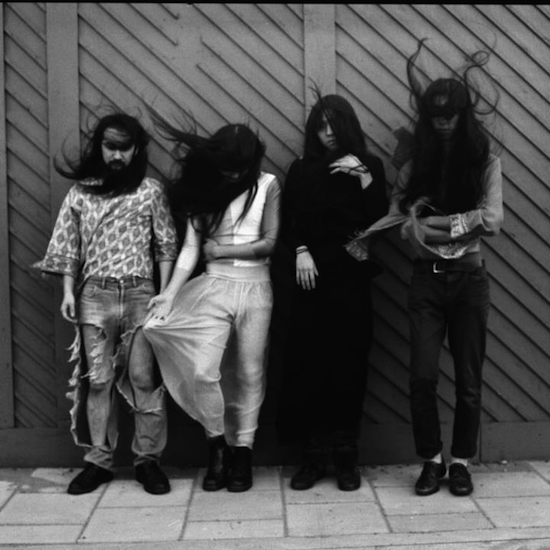 Not-for-profit, two-day film, arts and music event Shuffle Festival will return for its fifth year in Tower Hamlets Cemetery Park this August with Bo Ningen, Elf Kid and more among those set to play. The festival is focused on making use of underused public spaces and bringing together communities, and will also take over other nearby surrounding spaces including a scaffold yard, former workhouse garden, housing association carpark and Community Land Trust houses on St. Clements. Also lined up to play are indie rock duo Ten Fé, Soccer96, surf-rock artist Calva Louise, and funk afrobeat group Afla Sackey + The Irreverents. You can read Read our review of Fat White Family's set at the very first Shuffle Festival back in 2013 here. Originally located on the old St. Clement’s Hospital Site, Shuffle is a product of The East London Community Land Trust. However, now that the space has been fully developed, the group has moved on to redeveloping the Tower Hamlets Cemetery Park Lodge. More information about the redevelopment project can be found here. The theme this year is Public/Private, with a programme focused on specifically exploring the male Public/Private experience. Additionally, festival curator Danny Boyle will be present for a screening of Trainspotting and Q&A alongside the male suicide prevention charity CALM (Campaign Against Living Miserably). The festival takes place from August 26-27. Tickets and the full line-up can be found here. Tickets will be discounted for E3 residents.